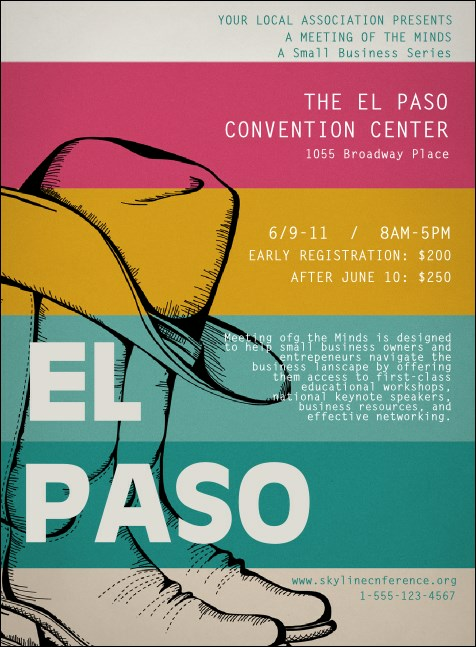 Find the most blissful pre-event advertising you can to promote your next event near Fort Bliss when you print El Paso Invitations and send them out to your Sun City guest list in advance. These Invitations feature a bright and colorful background design with the outline of a cowboy hat and a pair of boots to show off that Western style. You can’t mess with Texas advertising at TicketPrinting.com!